This topic is of particular interest to me. When I was a child, my family moved to a small house. I had a small room, and a bed crammed next to a long closet with a sliding door. It was a difficult time in my life–my mother was sick, and I was too old to go to my parents after waking up from a nightmare, though I had several. I was careless, and often slept with books on the floor and my closet wide open. That would change in a matter of seconds–after that, I wouldn’t sleep without it shut–and tight–for almost a decade. It was late night, or very early morning. I’d had another bad dream; I no longer remember what about, and it doesn’t matter. I was awake. I’d left the closet door open, and right next to my head. I could see into it, shadowy in the grey light of the night. He came out slowly, though it wouldn’t have mattered how fast he moved because I was frozen to the mattress, scream caught in my throat. He was large, black, and featureless, with a shape like Frankenstein and movement like a sprite. My stomach dropped to my feet, and he reached one square hand toward my face and lunged toward it. “Nightmare,” he whispered, and then dissolved. I went to my parents’ room after that. A humanoid black spot–often in the shape of a male–where there should not be one. A feeling of being watched, though the shadow in question will have no eyes, nor any features to speak of. The dissipation of the shadow as soon as light is cast or prayers are said. There is ordinarily no attempt at communication, nor any particular violence, though that is not to say there can’t be. An Australian woman by the name of Ann Williams claimed to be sexually assaulted by a shadow person, and pointed to scratches and bruises left by the encounter. Other people have been burned, stalked, and chased. Generally, though, the shadows just watch, and more often than not, they watch while you’re sleeping. This latter fact has led many to blame the sightings on sleep paralysis, a lovely state in which the victim is caught between sleeping and waking. In this, the sufferer’s body remains immobile, even as his mind fights to wake up; this often leads to terrifying hallucinations. 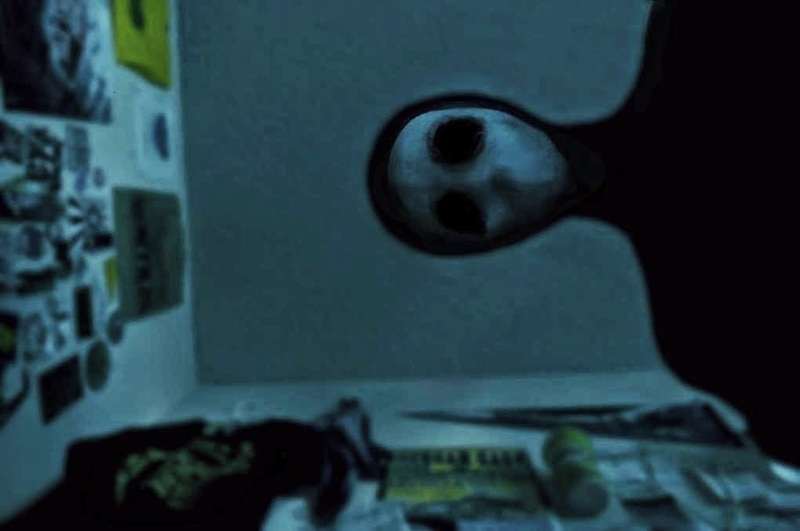 While the sleep paralysis theory tidily explains the numerous bedtime visits, it does not account for the sightings people have had while up and about–in their kitchen, in their living room, in their yard. For these, skeptics point to mental illness, drugs, or flat-out fabrication. But with as many sightings as there are, isn’t it worth entertaining the thought that these visions might be something else? There are as many theories about what shadow people could be as there are types of people who have seen them. In an interview with Art Bell on Coast to Coast Radio, a man calling himself “Thunder Strikes” claimed that we have indigenous North Americans to thank for the first record of our immaterial friends (dated around 1153 b.c. ), though it would seem that theirs is far from the only culture that featured them. Most thought of the shadow people as demons, or as a type of ghost. Many people today agree with them, and claim the only way to end a visitation is by praying, invoking the name of God, or clutching a cross. Others say that the shadow people are aliens come to spy on us before they take us away, or take us over. But here at Monster Meet, we hear about demons and ghosts and aliens all the time. There are more interesting theories out there. One is that the shadow people aren’t malevolent at all. Instead, they are impartial time travelers, come to observe our era in a way unrecognizable to us. This is a wonderful thought, and if it is the case, hello, future humans! So nice to meet you, but if you could please explain why you tried to grab my face? The second–and even more interesting–theory is that shadow people are beings from a parallel dimension. Most scientists agree that other dimensions exist, and that some are just a short shift away from our own. Is it so much of a stretch to say that a more advanced species might be able to break that barrier? Proponents of this theory often point out that as our world gets closer to discovering the fourth dimension, shadow people sightings have increased; they point to the outbreak of encounters beginning in 2001 as evidence. Our friend Thunder Strikes goes a step further, claiming that these beings are drawn to our world to feed off our emotional energy and chaos. This casts the shadow people a sort of “energy vampire,” and might explain why they often reveal themselves to the troubled or emotionally disturbed. Regardless of what they are or why they’re here, many agree that the shadow people aren’t going away. An about.com poll asked whether the shadow people were a new or old phenomenon, and the results were divided between “It is an old phenomenon just getting more attention now” (45%) and “It’s an old phenomenon, but one growing in frequency and intensity” (39%). All in all, 2319 people responded, making this a more popular issue than other polls on anniversaries, arthritis, and compliments. If–oh. There’s–there’s something over your shoulder. Anyway, off for the night now; best of luck! Have you ever encountered a shadow person? Cloaked or hatted, solid or immaterial? Have you seen the one with the red eyes? Share with us in the comments below.